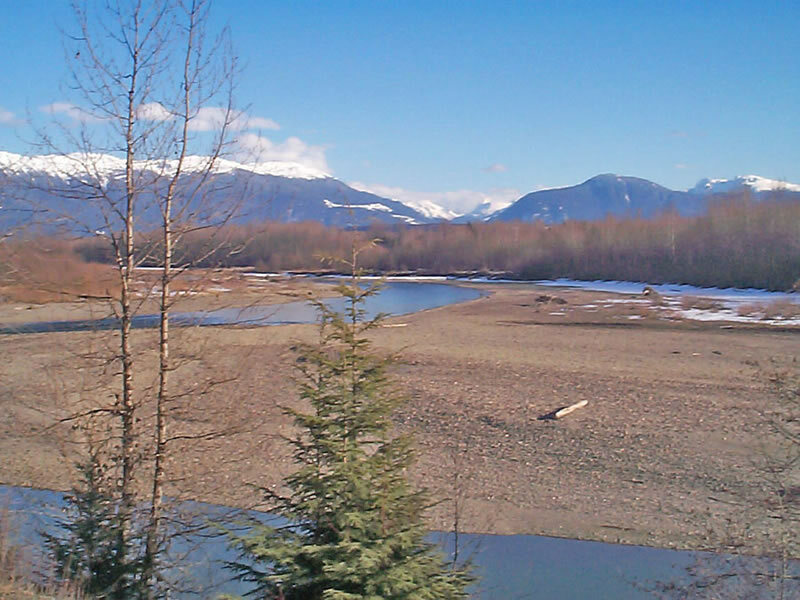 This photo was taken looking upriver towards Terrace, B.C. on March 12, 2006. This is just outside Terrace on Highway 16 West to Prince Rupert. Many people were fishing that day. Photo by Elaine Fleischmann.